I’m reminded of a quote from Wajda’s “The Promised Land” where a certain character says Everybody has a palace, and so do I. The cited gentleman did have a palace in order not to be worse than others, but he didn’t live there. I wanted to have a blog, because so many people do, but I never knew what to write in one. This place will be a kind of diary. Since I’m active in various places in the Jane Austen and Regency England world, I’m going to copy here the longer and more informative posts I write. In my attempt to interpret Austen’s novels as thoroughly as possible I constantly reread her texts, trying to get rid off the common misconceptions created by the various adaptations of her writings. At the same time I acquaint myself with the works of her contemporaries, in order to properly understand the worldviews prevalent in her times, and discern Austen’s own standpoint. I won’t shy from any topic that might be relevant, so one can expect both posts about sexuality and prudence, philosophy and theology, British and Continental history. I am not an early 19th century person, and I don’t necessarily embrace the views as they were back then, but I believe that in order to understand a representative of the Regency era one should understand that world. For example I do not approve of entail, but while speaking of it I’m going to look for its good sides in order to explain why people back then could think differently. I am not an Anglican either, but I read a good deal of sermons because Austen was a parson’s daughter and religion back then had a much greater influence on the life of the society than it has today. Finally, I am all for equality among genders, classes and races, but I won’t forget that people back then did not yet hold the same opinions we do today, and even those who put foundations for the changes formed their thoughts differently than we do now. Do not be then afraid to discuss the views freely. This is not a personal blog where I’d write about my own convictions. Are there things you would like me to write about? Just drop me a message here. P.S. I am not a native English speaker so I can make mistakes. Feel free to correct me. It’ll help me to learn. What a gorgeous site! I love it! Simply beautiful! I love your blog. My interest in Jane has prompted me to write my own homage to her- a Pride & Prejudice sequel, Miss Bennet & Mr Bingley. This is now available on Amazon and everywhere else. I’m glad you like it. Welcome. I wish you great sales! I love this blog. But there have been no new posts for a while? Such a shame. Greetings! How might an author get a hold of you? 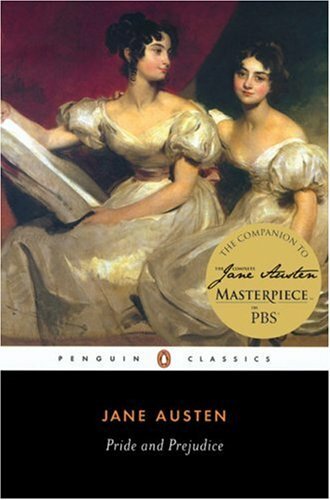 I recently published an Austen adaptation entitled, “A Modern Day Persuasion”, based on Jane’s classic “Persuasion”. You can visit my website for more information and weekly blogposts at http://www.kaitlin-saunders.com. We market a line of gifts for readers and donate 100% of the profits to fund new libraries in the developing world. FYI, I thought you might appreciate our new “Jane Austen for President” gift collection, which you can view at http://gonereading.com/site/our-gifts-for-readers/jane-austen-gifts/. I have a document of helpful content I can provide, including photos, product images, a press release and Q&As. Check out our website (www.GoneReading.com) and let me know what you think. Jestem Julia i baaardzo podoba mi się Twój blog. Jest w nim masa wiedzy, trafnych spostrzeżeń i bardzo się cieszę,że znalazłam go.. Piszę pracę licencjacką (po angielsku) o kobietach w czasach Jane Austen i myślę,że warto byłoby wymienić się uwagami/przemyśleniami. Yes, this is you. You always write well, but here your writing meets your passion and makes your reader not only learn interesting ideas, but to see things through your eyes. It is a lovely looking site. But it is missing something – your stories! I just read scoth and sirens and started bath and betrothals only to be brought up short of the ending chapters which are missing from the site where i found them (the wayback machine). Are these stories archived somewhere on line?